Toshiba will bang the tablet market with its biggest launch of the time at Consumer Electronic Show (CSE) starting from January 10, 2012 in Las Vegas, US. According to the claims of electronic major, it would be world’ thinnest and lightest Android tablet. 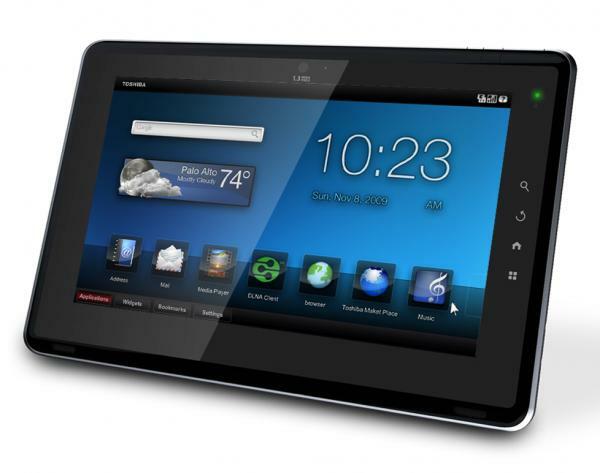 The company has named the tablet Excite and it runs on Android Honeycomb. About 7.7 mm in thickness the tablet is about 10.1 inch long having screen of 1280x 800 resolution. It is powered by a 1.2GHz dual-core OMAP 4430 processor. It also has a 5 megapixel rear camera and a 2 megapixel front facing camera and micro HDMI out. Its storage capacity is boasted around either 16GB or 32GB. The company also has plan to release a 7-inch tablet at the show Qualcomm Snapdragon processor, 1024X600 resolution display, rear camera, microUSB port, microSD slot, Bluetooth and Wi-Fi.